Teachers at The New LIFE School (TNLS), a ministry of Lutheran Social Services of New York, engaged in a small group exercise during a professional development workshop on blended learning and innovative teaching practices, led by Marlene Lund, Executive Director of the Center for Urban Education Ministries. For years, Lutheran and other parochial schools have provided quality Christian education, nurturing children in mind, body and spirit. These children grow to be mature adults who contribute to society in their own right. 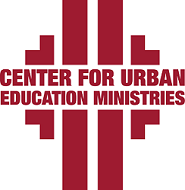 The Center for Urban Education Ministries connects and equips Lutheran leaders with resources to develop innovative and effective Christian education ministries that nurture hope for children, youth and families who live in urban areas. Educating children of poverty in the city is our vocation and our call to service. Every gift will ensure that our shared mission can continue to equip future leaders in our cities.